Journal of Biomedical Imaging & Bioengineering is a prestigious open access, peer-reviewed journal that is keen in promoting current scientific research outcomes in this field. The journal invites the participation of researchers that are involved in Biomedical Imaging & Bioengineering research and practice. The Journal encourages submissions & exchange of views in the form of Original researches, Review Articles, Clinical Cases, Perspective, Commentaries, and Letters to the editor by addressing various aspects of medical diagnosis, Diagnostic imaging, and Quality analytic interpretation of diagnoses. 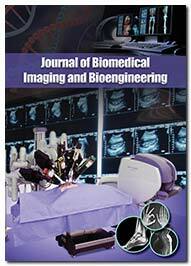 Journal of Biomedical Imaging & Bioengineering has been designed for the wider dissemination and diffusion of new inventions and developments in the field of analytical methodologies and imaging techniques to the enthusiastic readers and potential researchers worldwide. The Journal aims to facilitate rapid publication and circulation of novel discoveries in the field of Biomedical Imaging, Molecular Imaging, Cellular Imaging, Bioengineering, Tissue Engineering and Nuclear Medicine that could help in increase in awareness & spread of information regarding the researches in the field. The journal also focuses on Optical Imaging, Magnetic Resonance Imaging and Spectroscopy Ultrasound: Diagnostic and Interventional studies, X-ray, Electron, and Ion Beam imaging techniques, Delivery Systems and Devices for Drugs and Biologics,Image Processing, Visual Perception, Micro-Biomechanics, Integration of Implantable Medical Devices, Bio magnetic and Bioelectric Devices employed for imaging, Micro and Nano Systems; Platform Technologies of Imaging and Image-Guided Interventions,Bioengineering, Tissue Engineering, Rehabilitation Engineering, Nuclear Medicine, Tele-health, Mathematical Modeling, Simulation and Analysis etc. Catheter based treatment of the chronic cerebrospinal insufficiency in patients with multiple sclerosis, a single center experience. Inaccurate BP measurements due to sphygmomanometer miscuffing. Holographic microscopy for biomedical imaging.